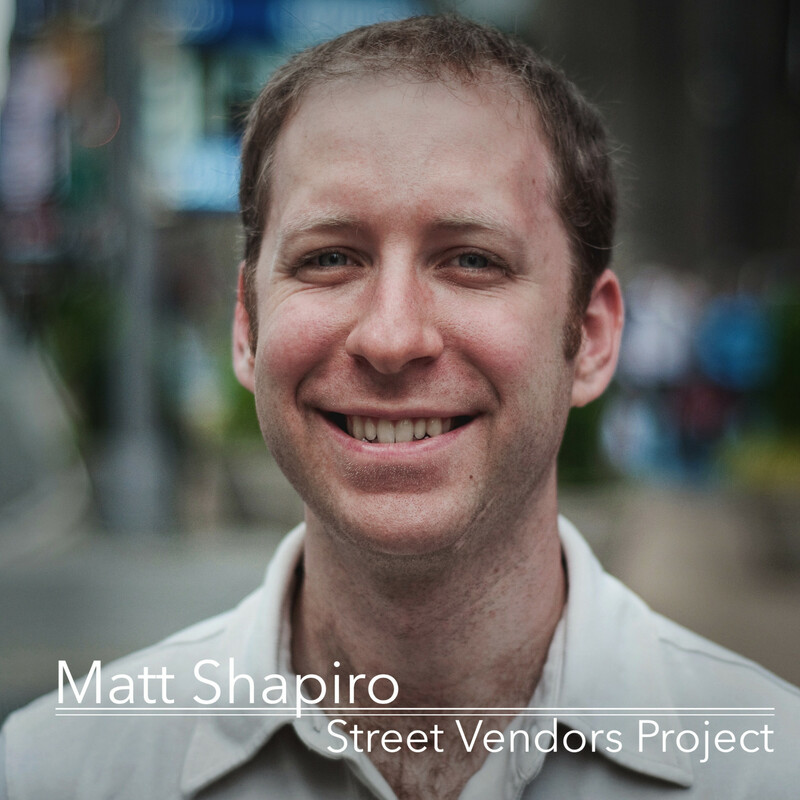 Matt Shapiro was in law school when he read about a Midtown street vendor’s cart being wrongfully confiscated by the police. He was immediately moved by the issue and began to work with the Street Vendors Project, an arm of the non-profit organization Urban Justice Center, that advocates for and provides legal representation to all types of street vendors in NYC – from food trucks to grocery carts to craft & clothing vendors. Join us as we wade through the issues of immigration and race, permitting and regulations, politics and public attitude surrounding many of our familiar neighborhood vendors. Ethan Frisch food carts food permits food regulations Immigration Jenny Dorsey Matt Shapiro neighborhood politics street food street vendors Street Vendors Project Urban Justice Center Why Food?